They convened as residents, neighbors and community leaders to celebrate the notion that our differences make us stronger. Moderator Tameka L. Taylor addresses panelists (from left to right) Gabrielle Jackson, Murat Gurer, Jay Tamilio and Samantha Walters. 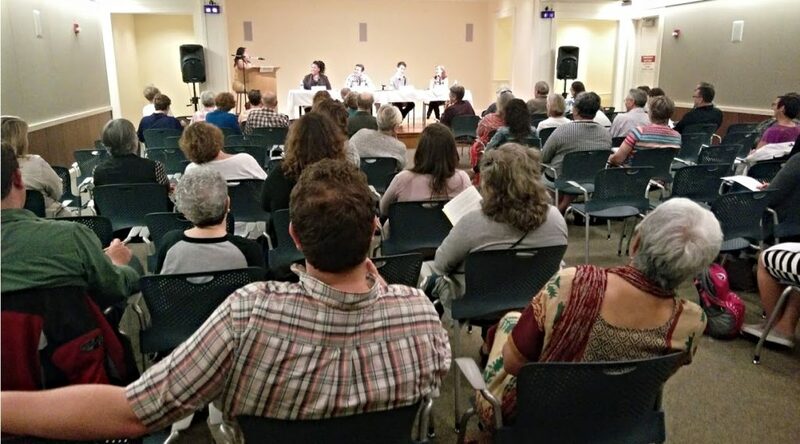 More than 60 attendees ventured to Lakewood Public Library on Wednesday evening, May 23, to participate in a community forum entitled Embracing Diversity: Fostering Equity and Inclusion in Lakewood. Hosted by LakewoodAlive and the Lakewood Community Relations Advisory Commission with assistance from Lakewood Public Library, this community forum offered insightful dialogue regarding how we as Lakewoodites can further our commitment to embracing and celebrating diversity within our city. After introductory remarks from LakewoodAlive Executive Director Ian Andrews and Lakewood Mayor Michael Summers, moderator Tameka L. Taylor, Ph.D., who serves as President of Compass Consulting Services, oversaw a discussion covering a variety of topics, including identifying our own biases and serving as a change agent for promoting greater societal diversity. A distinguished panel of experts and leaders participated in this community conversation. 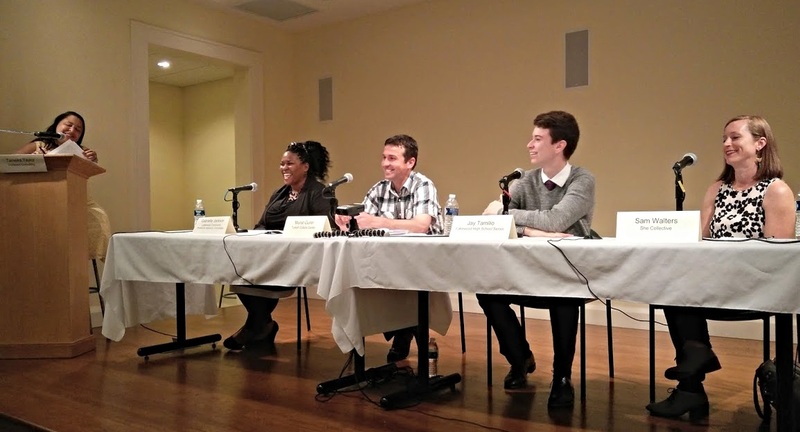 Panelists included Murat Gurer (International Community Council), Gabrielle Jackson (Lakewood Community Relations Advisory Commission), Jay Tamilio (Lakewood High School) and Samantha Walters (She Collective). More than 60 community members attended LakewoodAlilve’s “Embracing Diversity” community forum on May 23. In addressing the panel and the audience, Taylor referenced the need to embrace diversity and inclusiveness across all realms of society and in all interactions with other people. Walters, Founder of She Collective, echoed these sentiments while acknowledging that no individual should be pigeon-holed by any single demographic trait. “We need to recognize that everybody has many intersecting identities,” she said. LakewoodAlive thanks Community Forum Committee volunteers for spearheading the planning process: Cindy Einhouse, Cindy Friedmann, Rachel Kribbs, Katie Kurtz and Mark Thomas. LakewoodAlive hosts community forums pertaining to topics relevant to Lakewood citizens. For more information, please visit LakewoodAlive.org/CommunityForums or contact LakewoodAlive at 216-521-0655.